Dates should be sweet, and this one is definitely something very different from the dates you've had before. 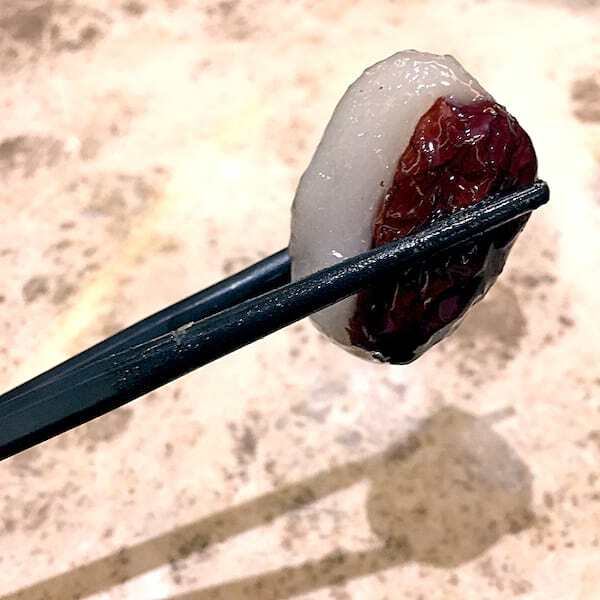 These red dates stuffed with mochi will soon be your favorite dessert snack from Paradise Dynasty. 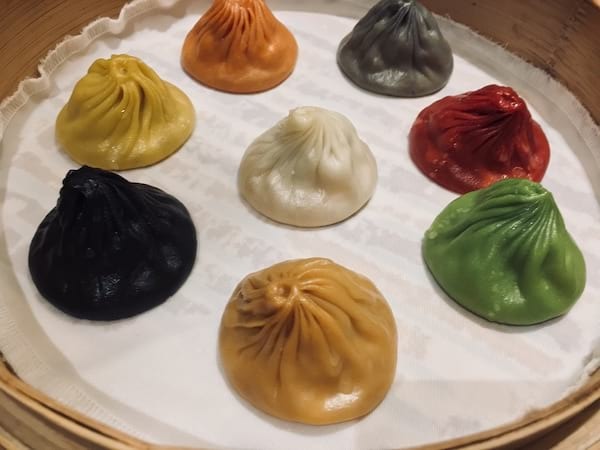 The main draw of this Chinese restaurant hailing from Singapore is their xiao long bao -- soup-filled savory dumplings that come color-coded to help you distinguish all eight different signature flavors. A staple order, especially if it's your first time here, is the Specialty Dynasty--all 8 xiao long bao arriving to your table in one basket so you can try everything. But we're here not to drool over these soupy dumplings (not that they aren't drool-worthy). Let's shine the spotlight on something that you probably haven't tried at Paradise Dynasty if you're always ordering the multicolored dimsum by default. 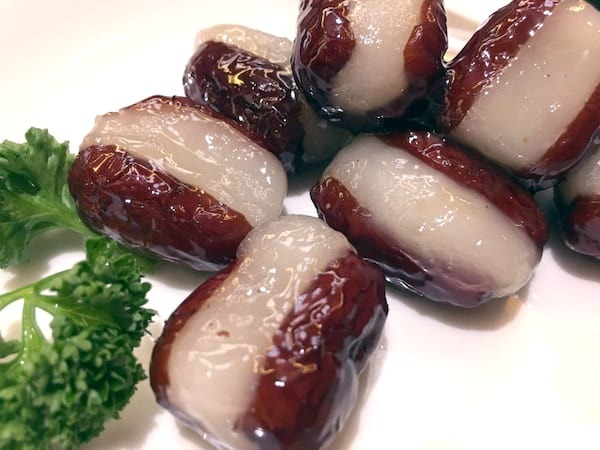 Maybe this month, since it's Chinese New Year season and all, it's time to try new things and you can start with this sweet and chewy appetizer. 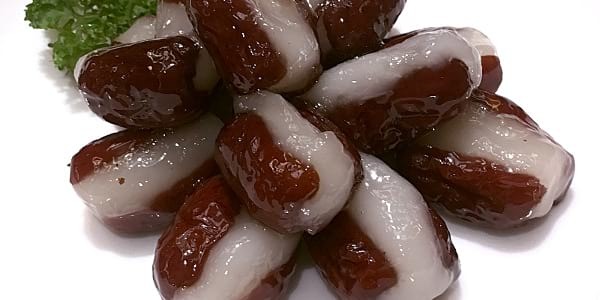 Sweet and sticky glutinous rice treats like nian gao (a.k.a. tikoy) are traditional snacks for Chinese New Year, while some fruits are picked out for the new year for their supposed luck -- red dates, for instance, bring in good fortune and wealth (red is also a prosperous color). So consider this plate of stuffed red dates as a lucky treat! 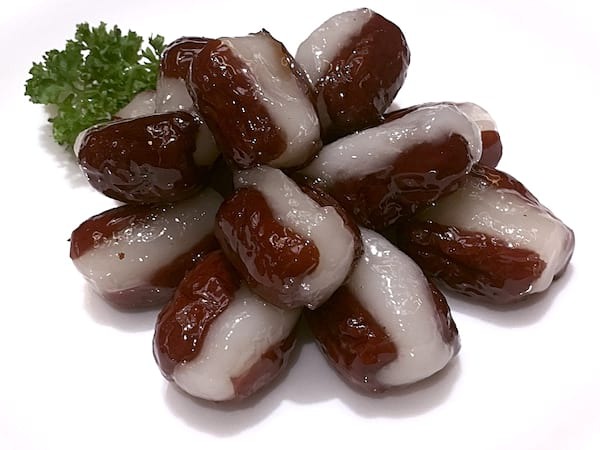 This traditional snack takes Chinese red dates (jujube) and stuffs plain mochi in the middle before steaming them. The glutinous rice is then cooked to a springy, chewy texture, expanding and clinging on to the fruit, making it its skin. One bite gives you a burst of fruity sweetness, followed by the chewy mochi. The irresistible pop-in-your-mouth pieces make you want to snack on some more, and may kill your appetite if you choose to have it as appetizer (it's still rice after all and thus filling). So if I were you, save the dates for dessert and pair them with hot tea! 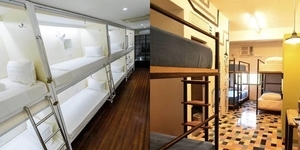 Where to Find it: Paradise Dynasty, with branches located in S Maison at Conrad Manila and The Podium Mall Ortigas. Like Paradise Dynasty on Facebook (/paradisedynastyph) and follow on Instagram (@paradisedynastyph) for more information.